The last week has just raced past. My whole family caught a nasty stomach bug, Liana was the first to go down on Sunday and both Stephen and myself fell ill on Monday. Only today (Sunday, but my pretend Saturday) we are all feeling back to normal again. So far I have not figured out, who gave us this bug, but I promise, if I do, that person will not be happy. On the other hand, if they had the bug as well, they were probably punished enough. I was so sick, that I didn’t even feel like doing any knitting, which is very unusual for me. So this week, I only managed to do a little bit, on Friday evening and Saturday during the day. And because I still did not feel great yesterday, I didn’t write a blog post. And that is the reason why right now, I am pretending it is still Saturday, so that I don’t have to face the fact that I already missed out on the second week in my weekly post. At the moment I am working up a load of these booties. These are still in an unfinished state and need sewing up, but I have a whole bunch of these at home. I am not quite sure yet, what exactly what I am going to do with them when I am finished, but for some reason I find it quite relaxing to knit these. 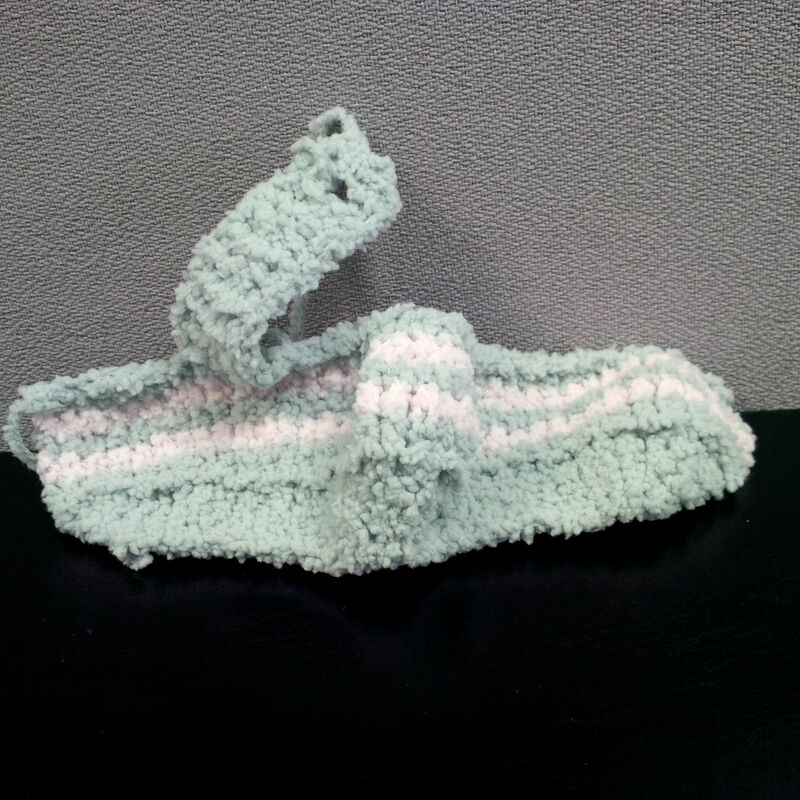 It is instant gratification as well, because these bad boys knit up in just over 30 minutes. 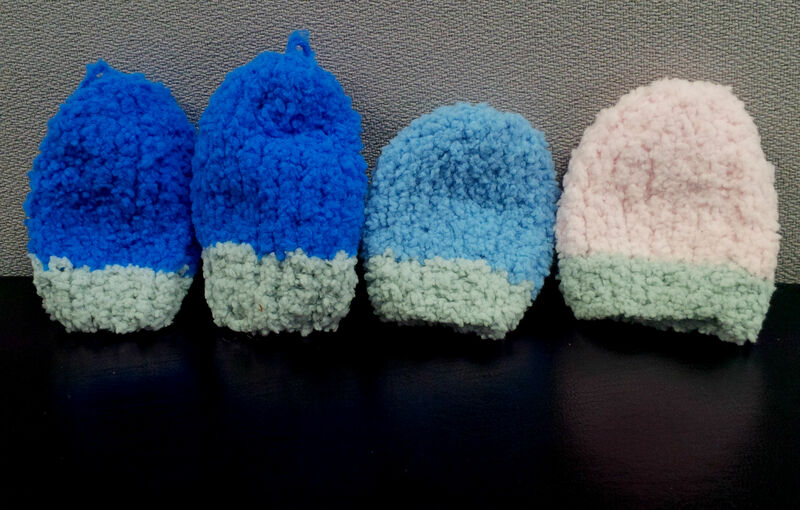 To go with the booties, I have been playing a bit with designing some mittens. 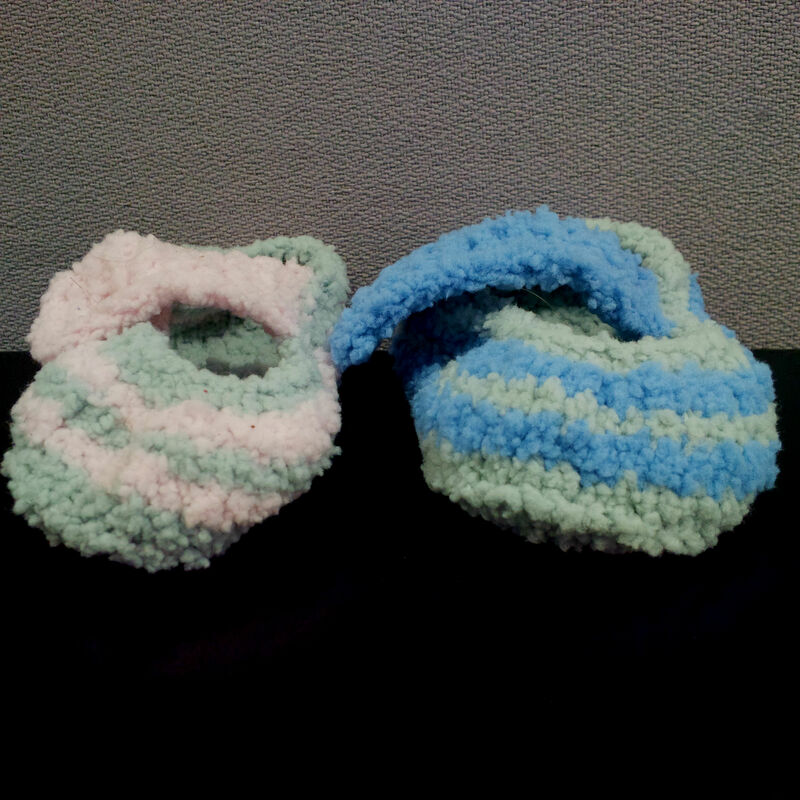 It is hard to get the dimensions right, because I don’t have any babies around me at the moment. 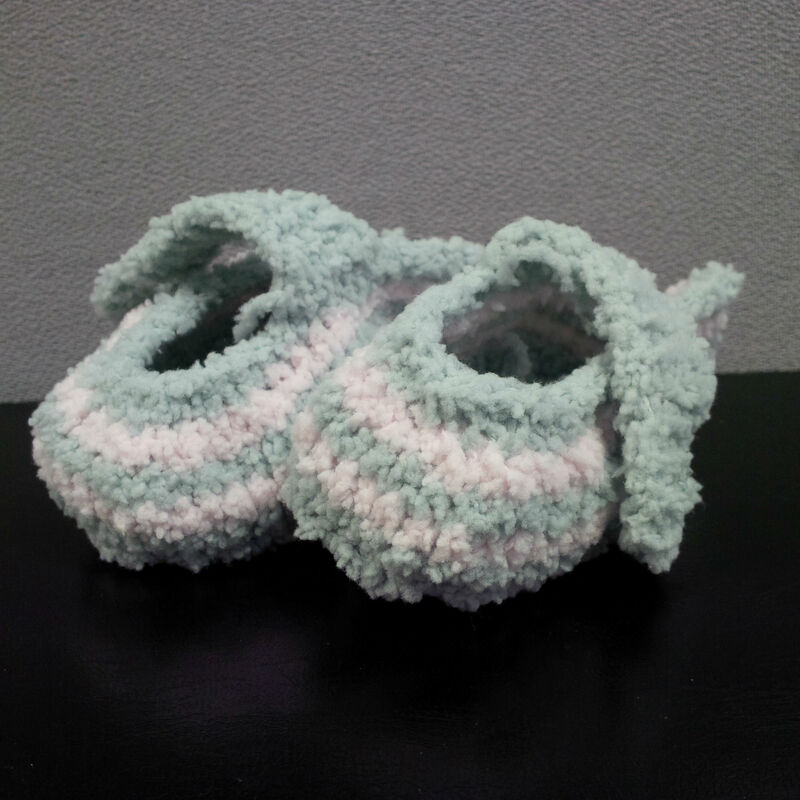 I have been thinking about maybe giving a set as a gift to a colleague, who recently had a baby, just to find out if they are the right size at all. And of course I can’t leave you without a current update on my lovely shrug from last week. 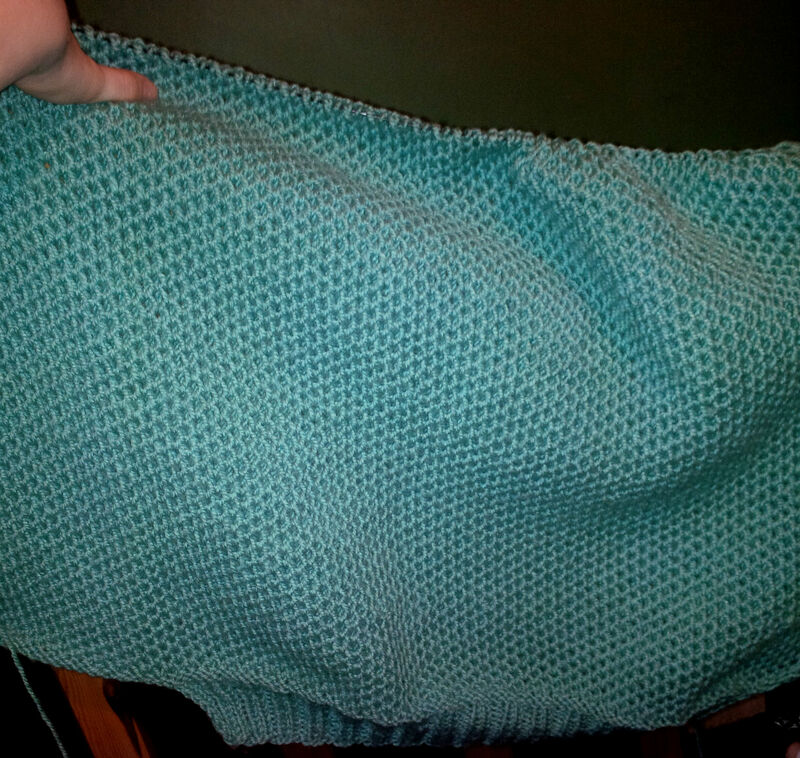 I have made a good bit of a dent into the work, but unfortunately I can’t work any further on it at the moment, because I completely and entirely got the yarn requirements wrong, and ran out halfway through. I now need to buy more, which I had kind of planned to avoid until I had used up a good bit more of my stash. 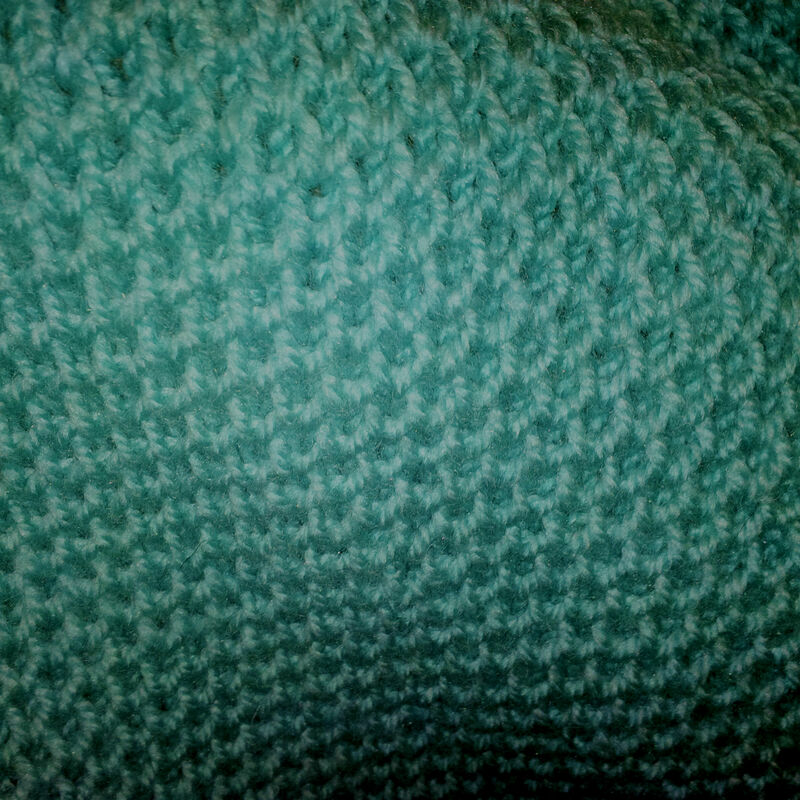 Look at this great pattern though, I never knew I could fancy a stitch pattern as much as the brioche stitch. I will definitely have to knit something else soon using this stitch.